Hair Envy plans to have over five thousand locations nationwide within the next five years. Please continue to check back or ask your Salon when they will be getting Hair Envy’s technology. At the start of our product rollout, if you are a consumer looking for the nearest area where you can find Hair Envy’s technology, you can fill create a customer inquiry and we will contact you when a unit is placed within your zip code. 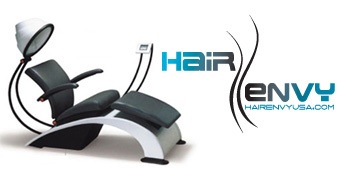 If you have an interest in offering Hair Envy’s technology at your Spa, Health Club or Salon, please so indicate and tell us a little something about your Company or Facility by going to Hair Envy’s Partnership inquiry form.